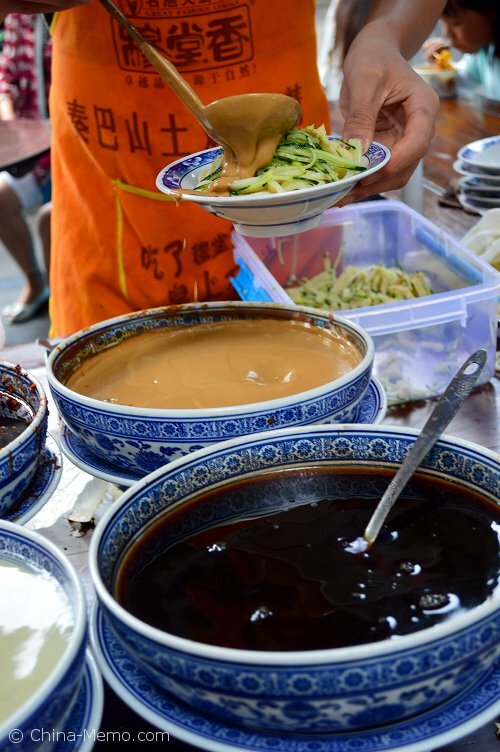 Xian Muslim street food is all about the Shaanxi local specialized food, different types of noodles, pancakes, dumplings, candies and cakes. This street is a perfect place to experience Xian local life and food culture. This is part one of a three-part series for my journey at Muslim street. 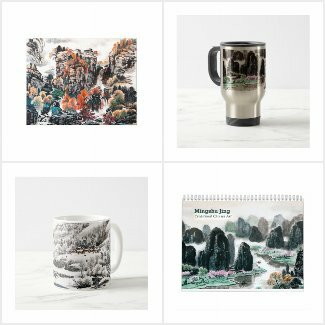 When you walk in, it might be just too much to take in. The Street is lined up with local restaurants and food stalls. 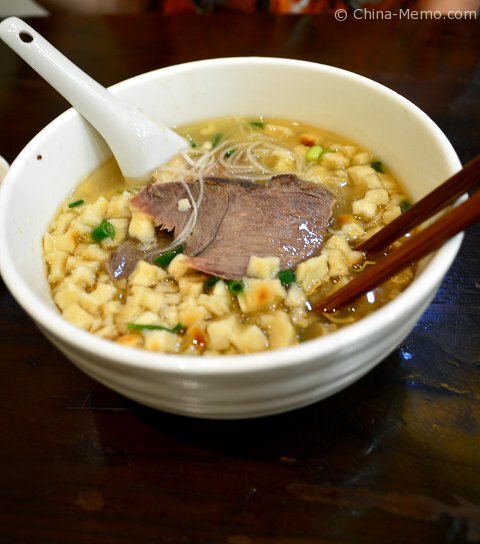 You can find the most famous Xian dishes here, such as marinated meat in a baked bun, pita bread soaked in lamb soup, and Xian dumplings. 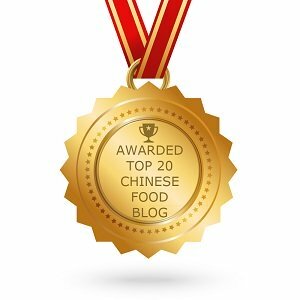 I used to visit some famous food streets in Beijing, and found most of them are packed with food from different regions. 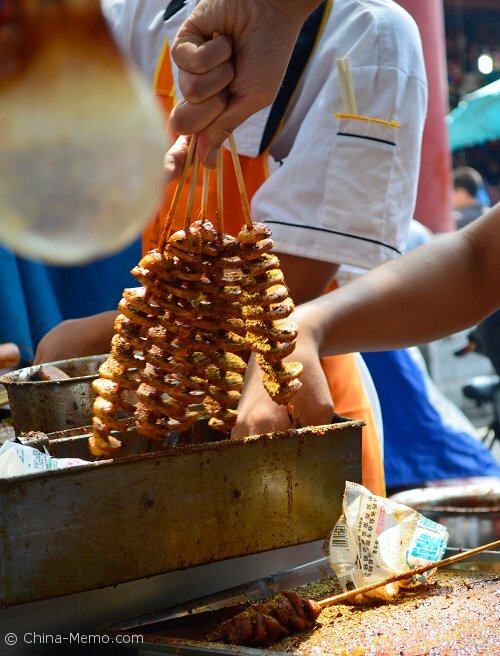 Unlike Beijing, Xian Muslim street food appears to be very “Xian” or say “Shaanxi” style (Xian is the capital city of Shaanxi province), as it seems to be a perfect showcase for the local food. 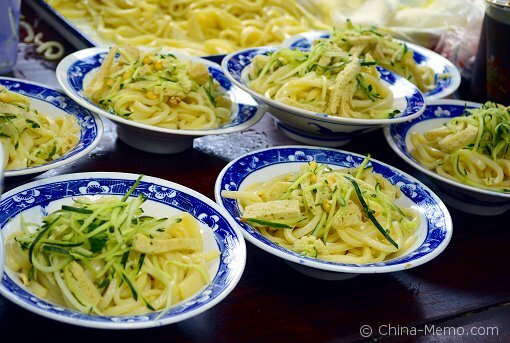 Because Xian is located in the northeast of China, it has lots wheat-made food. 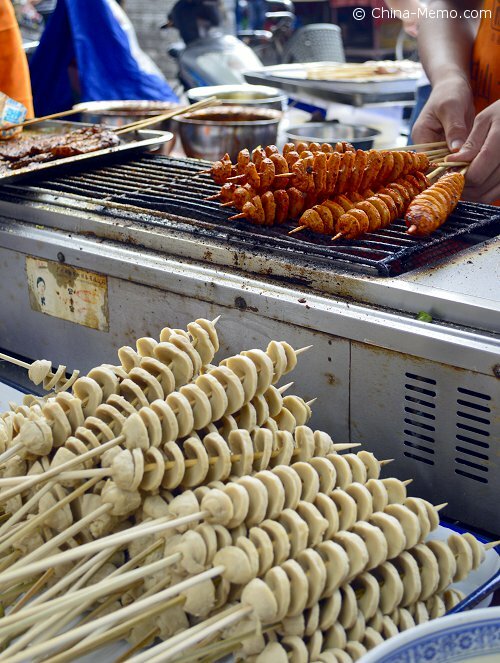 At Muslin street, you can see different types of noodles, bread, cake, buns and dumplings. There is a cold noodle food stall near the street entrance. 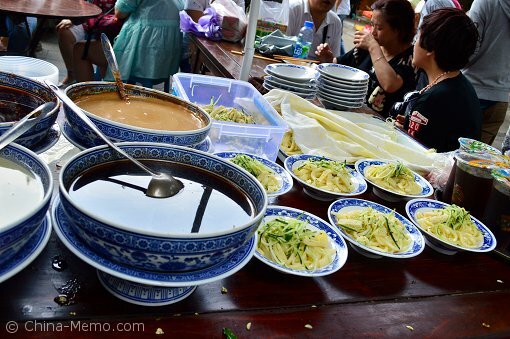 Xian Muslim Street Cold Noodles. Xian Muslim Street Cold Noodle Stall. The noodles are ready, customers just need to select which sauce they want, such as sesame, chilli oil, or mixed flavour. 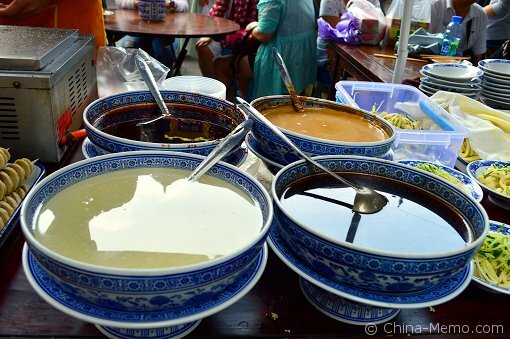 Xian Muslim Street Cold Noodle Sauce. Just pour the sauce on the top, served immediately, a perfect dish for the summer! Xian Muslim Street Cold Noodle with Sesame Sauce. At the same stall, they also make the grilled food, such as beef and beef tendon, which is similar those in my home town Hunan. 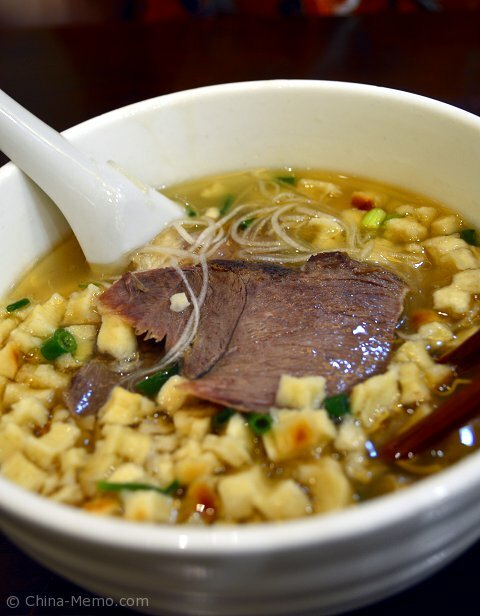 But there is one thing I never saw in Hunan, which is made by wheat gluten. 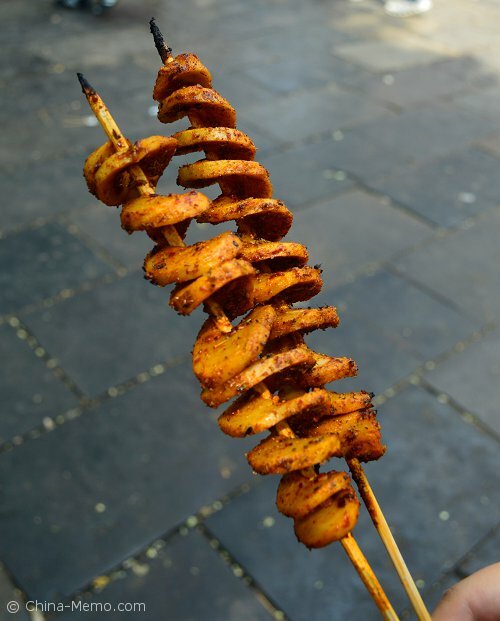 Xian Muslim Street BBQ Wheat Gluten. It looks like tofu, but in fact it is much chewier than normal tofu, but not hard as the dry type of tofu. It can be grilled as meat. 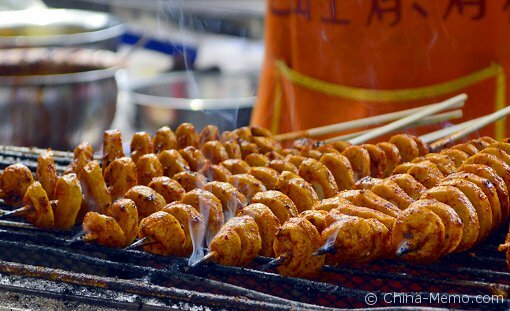 Xian Muslim Street Grilled Wheat Gluten. Before finish, add a pinch of salt, chilli powder and local seasonings, that’s it. Add a pinch of salt, chilli powder and local seasonings to finish. Ok, this is just a starter, more to come once you go inside. 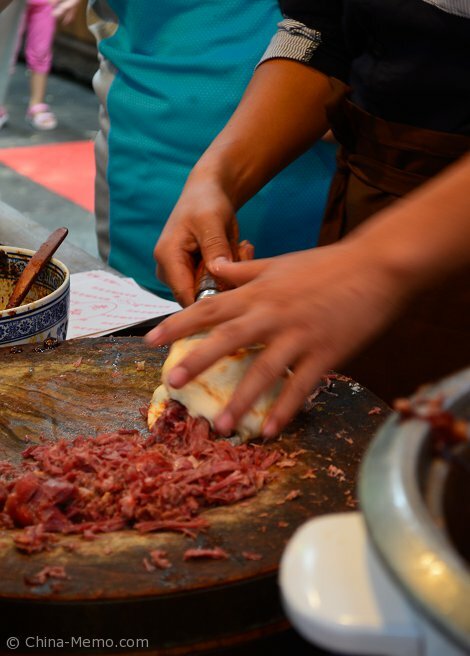 The famous local baked buns filled with marinated meat, call Rou Jia Mo. 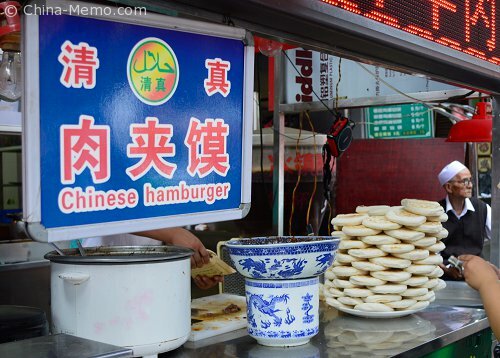 But it seems the locals have given it a new name as Chinese hamburger? Inside the bun, they add the shred of marinated meat, very tasty. Fill Bun with Marinated Meat. 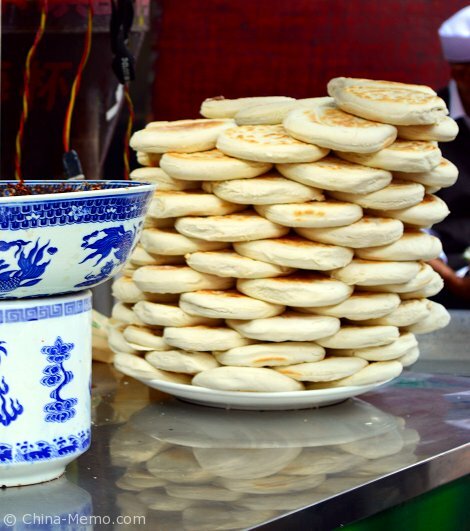 Another famous Xian dish, which is almost a must try dish for the visitors to Xian, is the Yang Rou Pao Mo (羊肉泡馍) , the pita bread soaked in lamb soup. 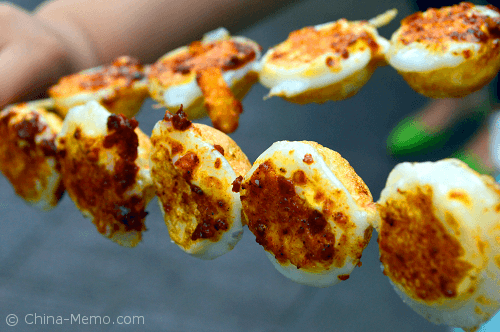 Xian Muslim Street Food. Famous Local Dish Bread in Lamb Soup. 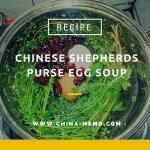 Famous Xian Dish Bread in Lamb Soup. I normally don’t like lamb, but this soup does not have the “smell” of lamb and tastes very good. 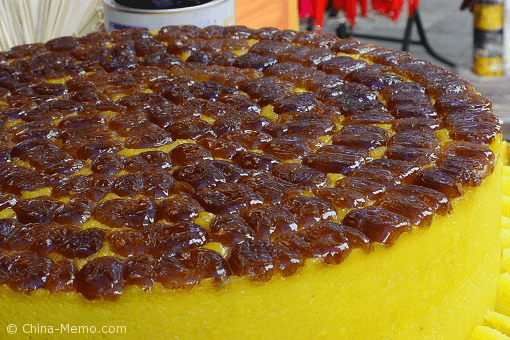 There is also a historical story for the Yang Rou Pao Mo. According to one legend, this dish was originally linked with Zhao Kuangying, before he became the emperor of the Song Dynasty nation. One day on his journey, he was tired and run out of money except two pieces of hard bread. Because the bread was so hard and inedible, a shop owner gave him a bowl of mutton (lamb) soup. He broke the bread into small pieces so that the bread can be softened in the soup. The bread in the soup was so warm and tasty that Zhao could not forget it even after he became the emperor. He traced back and found the shop owner and made this dish famous in the country. Well, this post is not finished yet, you can see more pictures in the following video, a collection of the photos I took at Muslim street.